THAT'S not a 3D Printer! 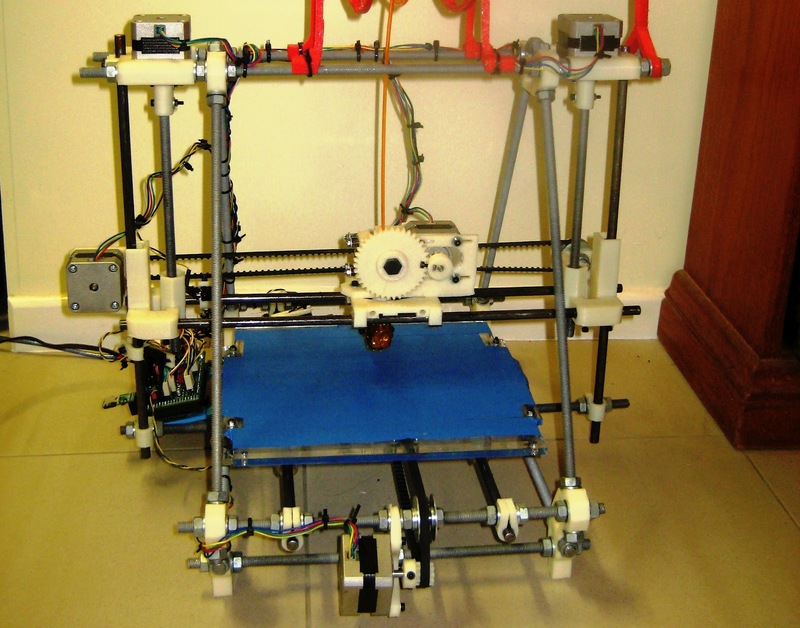 THIS is a 3D Printer! 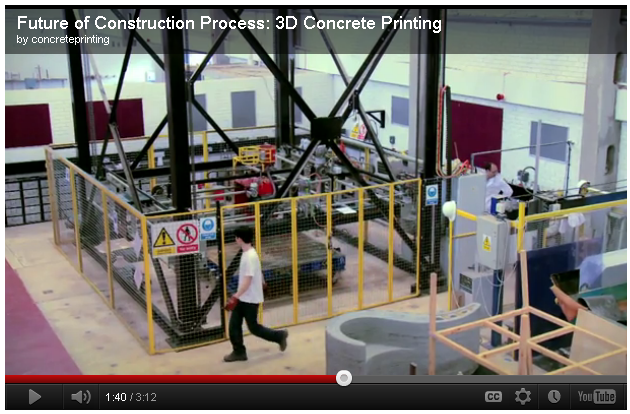 "3D Concrete Printing (3DCP) project was funded by EPSRC through the Innovative Manufacturing and Construction Research Centre at Loughborough University. 3DCP is a large-scale additive manufacturing process capable of producing full sized building components that gives architects a tremendous degree of design freedom because the components are manufactured directly from the architects’ digital model." I had to take a look. 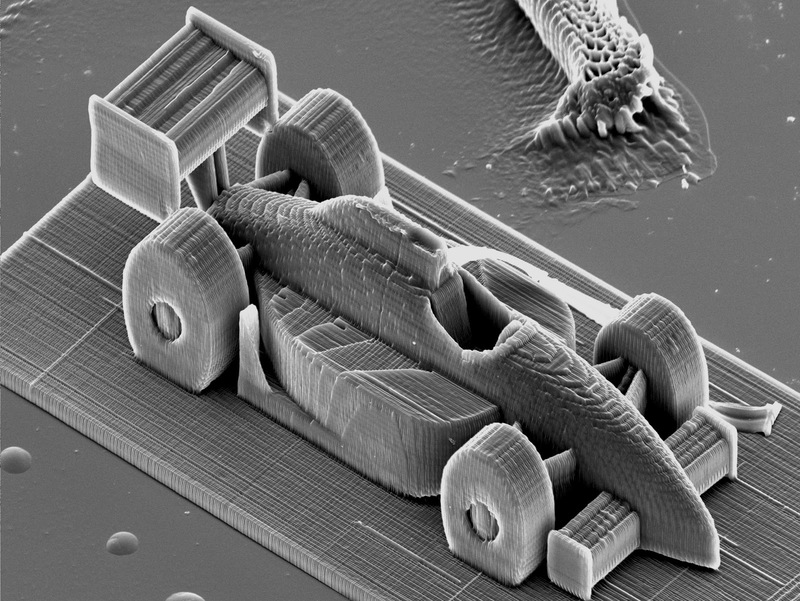 I have a number of interests, but 3D printing and Formula 1 are high on my list, and anything that is "geeky" attracts my attention too, so a 3D-printed microscopic Formula 1 car is about as cool as it gets for me! It seems that a team at the Vienna Institute of Technology has pushed the technology of laser-cured polymers to new limits, both in scale and speed. "Until now, this technique used to be quite slow," said Professor Jürgen Stampfl from the Institute of Materials Science and Technology in a statement. "The printing speed used to be measured in millimeters per second – our device can do five meters in one second." OK, so they are only doing this on a microscopic scale (the Formula 1 car is less than a third of a millimetre long!) - but imagine when they can scale up - you could print yourself a full-size car in a few minutes! 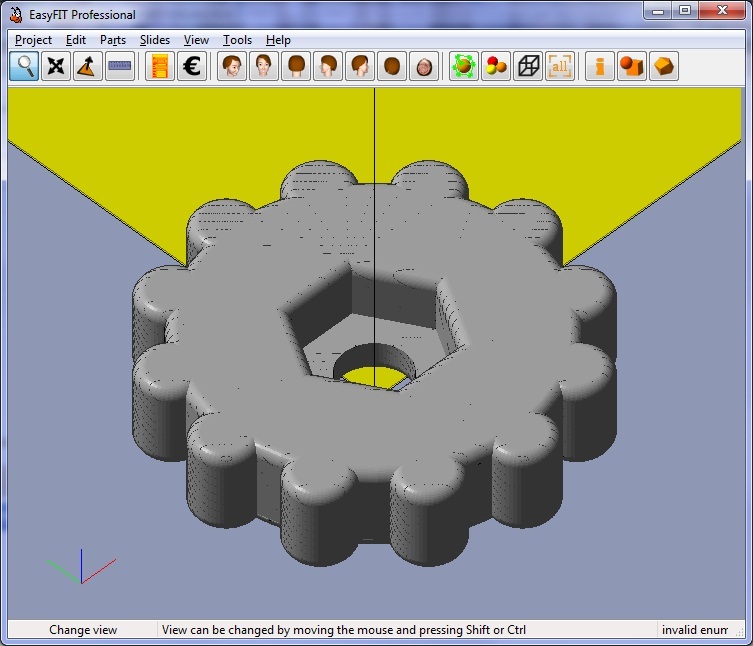 Do you want some inspiration for your 3D Printer project? 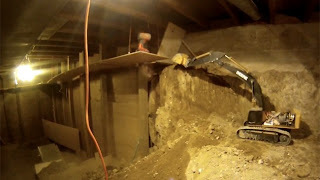 Check out this link: "The Man Who Prints Houses"
3D-printing is a method that physically realises digital designs layer by layer using a fluid substance that can be hardened by lasers or other binding agents. To date, it’s been used for small-scale manufacturing and as architectural maquettes. Enrico, however, has far grander plans. Having built his printer – the world’s largest – from scratch, there’s no shortage of work offers for this highly-skilled and imaginative engineer. Throughout the course of the film, we see Enrico embark on an array of innovative projects: constructing the tallest printed sculpture in existence, working with Foster + Partners and the European Space Agency on a programme to colonise the moon, solidifying a sand dune in the desert, and printing the closest thing to an actual house: a small Italian dwelling known as a trullo. I sure hope this movie makes it onto one of my local TV stations soon! One thing I’ve been meaning to do for some time is to rig up some sort of illumination for my printbed. The room where I do my printing is reasonably bright, but the X-Carriage and Extruder casts quite a shadow over the printing area, and it can be quite hard to see what is going on, especially if I am printing with filament which is similar in colour to the printbed (formerly blue painter’s tape, now red / orange for my Kapton-on-PCB heated printbed). This should cast a lot more light than a single LED, can be positioned to put the light wherever I need it (handy for cleaning out a jammed extruder! ), and also has the advantage of not adding any mass to the moving X-carriage. I figured it should be pretty easy to hook it up to my RepRap power supply. First, I cut off the USB plug (which was surprisingly difficult – the spiral wire which creates the “backbone” of the gooseneck is very tough!) and exposed the two wires – black for ground and red for 5 volts. Then, a bit of testing with my multimeter and adjustable DC power supply showed that the LED lamp draws about 180 mA @ 5 volts (and gives a really bright, uniform light in the process!) 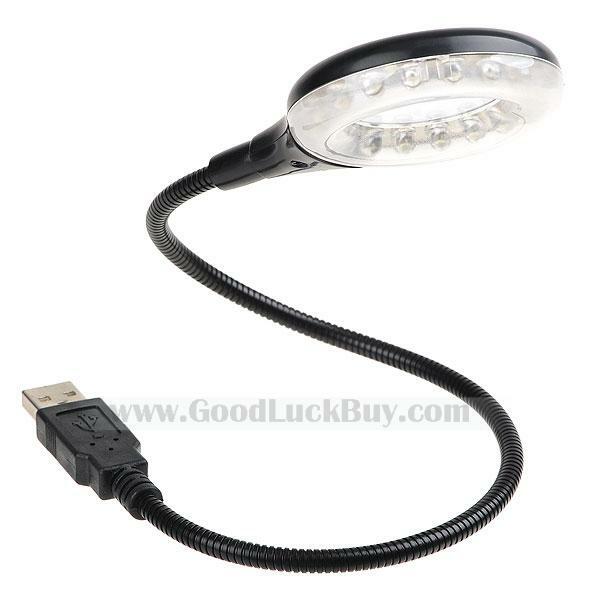 – OK for a PC USB port, but probably a bit too much load for 5 volt line on the Arduino. The Arduino Mega is only rated at 40 mA per pin http://arduino.cc/en/Main/ArduinoBoardMega2560 , so I was concerned that connecting the light to the 5 volt rail could overload the Arduino, and I sure didn’t want to find out the hard way! However, my ATX power supply http://julianh72.blogspot.com.au/2011/08/my-parts-list-power-supply.html is rated at 500 W, so has plenty of capacity to power a little LED lamp on top of the existing load of the RepRap printer and heatbed. Of course, the lamp is designed to run at 5 volts, so I needed to step the voltage and current down to avoid blowing the lamp. A bit of basic maths suggests the effective load of the lamp at rated voltage is about 30 ohms, and that I would therefore need to add about 40 ohms in series to maintain a current of about 180 mA @ 12 V. I rummaged through my “box of bits”, and found a 100 ohm resistor, and the maths suggests the lamp should draw about 95 mA when run in series with the 100 ohm resistor @ 12 volts. 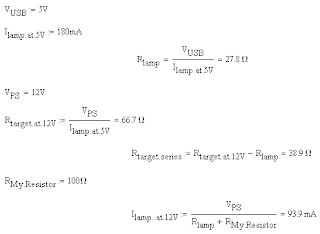 Anyway, I hooked it up in series, ramped up the voltage to 12 volts, and turned it on – success! None of the magic blue smoke escaped, and the lamp lights up nicely (but not quite as bright as before – as expected). I guess my maths can’t be too far wrong after all! In a word – great! The following video shows how much easier it is to see what is going on while printing. 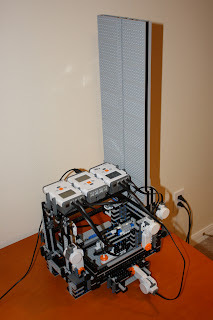 People are always accusing me of having geeky hobbies (RepRap, Arduino, etc), but this guy has me totally beat! I am just awe-struck - and SOOOO jealous!!! 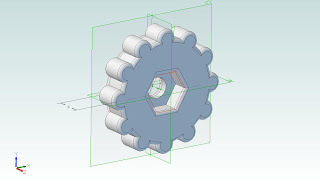 Thanks to a posting on the RepRap forums http://forums.reprap.org/read.php?1,116843 , I was alerted to a limited-time offer to get some really top-class 3D modelling software for free. 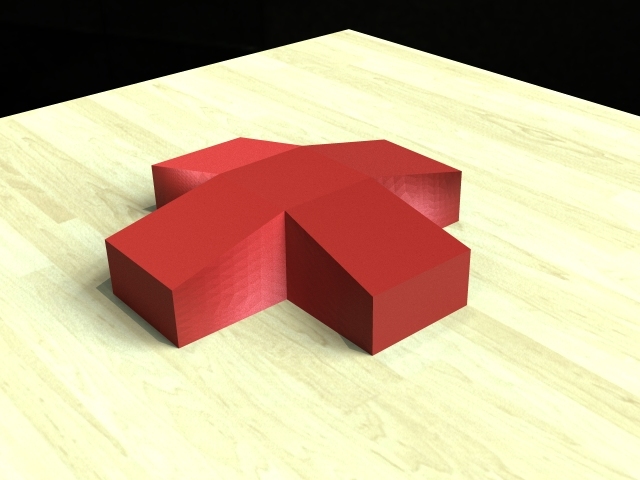 I haven't seen Hexagon before, but it looks like it might be a good tool for making "organic" models (such as "character figurines", animals, replicas of Henry Moore sculptures, etc). 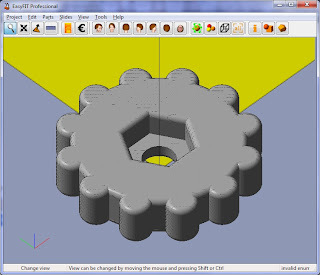 Most traditional CAD packages (like OpenSCAD, Inventor, Alibre, etc) are good at making mechanical components from geometric primitives (cubes, cylinders, etc), but are rather harder to use for "free-form" modelling (like sculpting with “digital clay”). I suggest any one who is interested should download and register them all now (while the offer is still available) and give them a try. What have you got to lose (apart from possibly getting a heap of marketing material from Daz in your Inbox)? I have been having some problems with some of my prints ending up slightly skewed - the vertical axis on some prints has been slightly off-vertical. It took me a while to work out what was going wrong, and then I realised I had another issue - that my print bed needed levelling all the time, and I realised the issues were related: with all the adjustments I have made recently, I had ended up raising the print-bed quite a bit, and I didn't have a lot of compression left in the levelling screw springs. This meant some of the adjusting nuts were vibrating loose (needing constant readjustment), and the lack of compression meant the whole print-bed could rack over to one side, leading to off-vertical prints. So, I needed a means of adjusting the levelling screws more easily, and so I could get some good compression in the springs, to keep everything nice and stiff. The obvious answer was to install thumbwheels to make it easier to adjust each levelling screw quickly and easily. Sure, I could have just downloaded someone else’s design like this http://www.thingiverse.com/thing:13807 or this http://www.thingiverse.com/thing:5246 or this http://www.thingiverse.com/thing:13065 – but where’s the fun in that? It's far more satisfying to design and print your own from scratch! And then I printed a set of 4 (in a single nested print). They certainly make levelling my print-bed much quicker and easier. Will they stop it from vibrating out of alignment? I guess time will tell! I have mentioned before http://julianh72.blogspot.com/2011/11/printing-without-computer-well-sort-of.html that while my kids think my RepRap Prusa Mendel is pretty cool, my "Significant Other" finds my whole RepRap obsession bemusing, to say the least. (But at least she knows where to find me - and it's not down at the pub!) She has been challenging me to "make something useful". Well, last night, I did just that - and even she acknowledges it! Having returned from our holiday, our first action was to make good on our promise for the kids' Christmas present - we picked up a new Burmese kitten that we had chosen just before going away. Now, everyone knows that kittens like to play, and sometimes the best toys are things they just find lying around (ping pong balls, bits of string, the toilet roll hanging on the wall holder, etc). However, the opportunity to make a bespoke kitten toy was just too alluring. So, I downloaded the stl file, and set it to print. A few hours later I had a really good model - and the cat loves it - it's just the right size and shape for a kitten to hook its paws in, and it makes a very pleasing rattle as it rolls around. 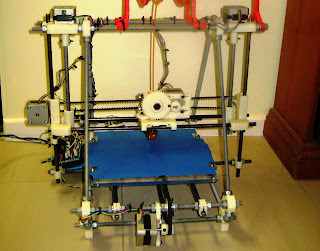 Happy New Year, everybody - and Happy RepRapping for 2012! May all your prints be awesome!